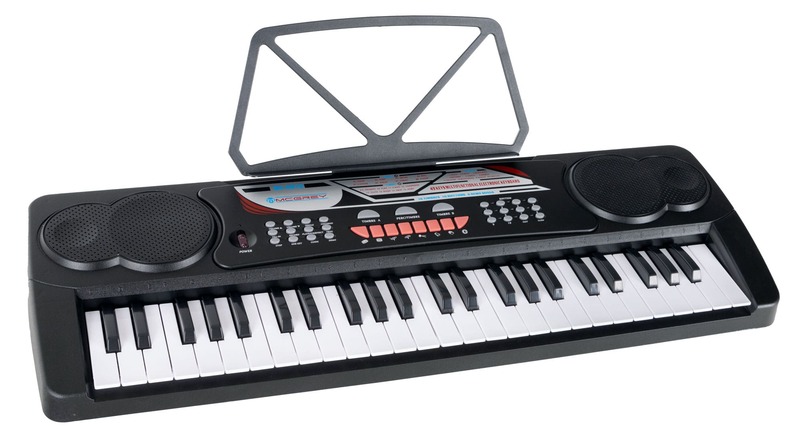 Fun Keyboard for young musicians! 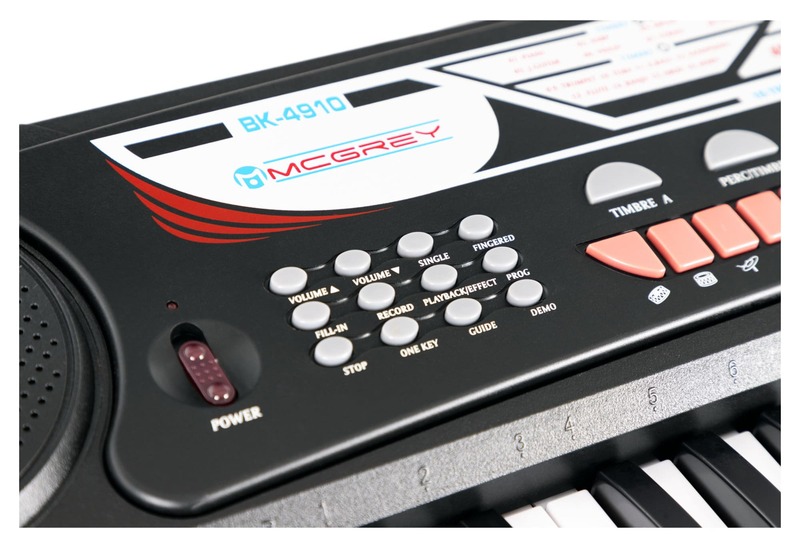 The McGrey BK-4910 was deliberately developed as a keyboard for beginners who are looking for an introduction to the world of music. All functions and keys are clearly arranged, so that even the youngest players find playing easy right from the beginning. 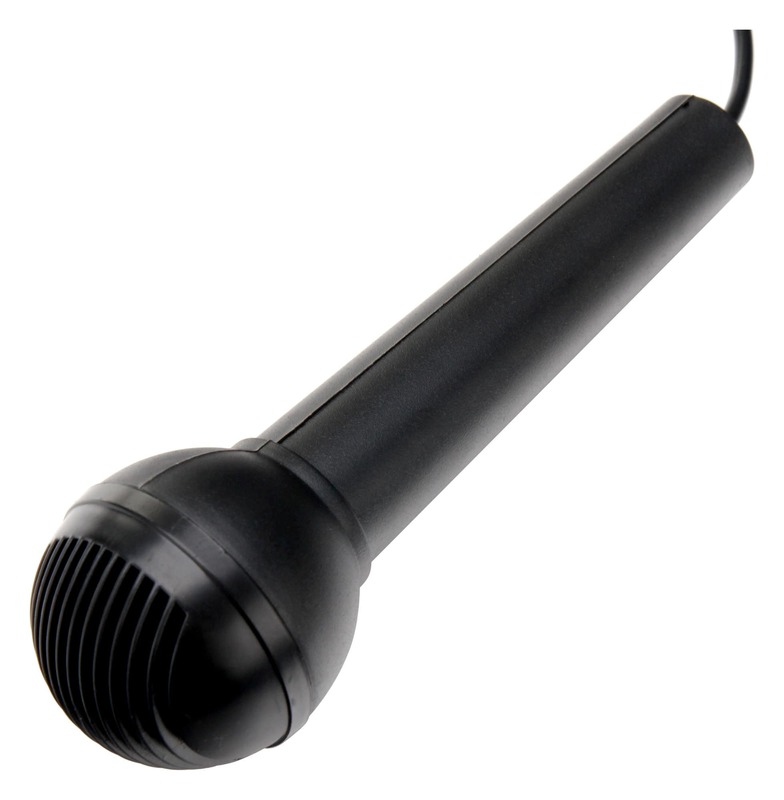 are of course the classical piano sound, but tehre are also instruments such as saxophone, violin, and many more too. to classical waltz there is a large and varied choice, which contributes to rapid learning success. 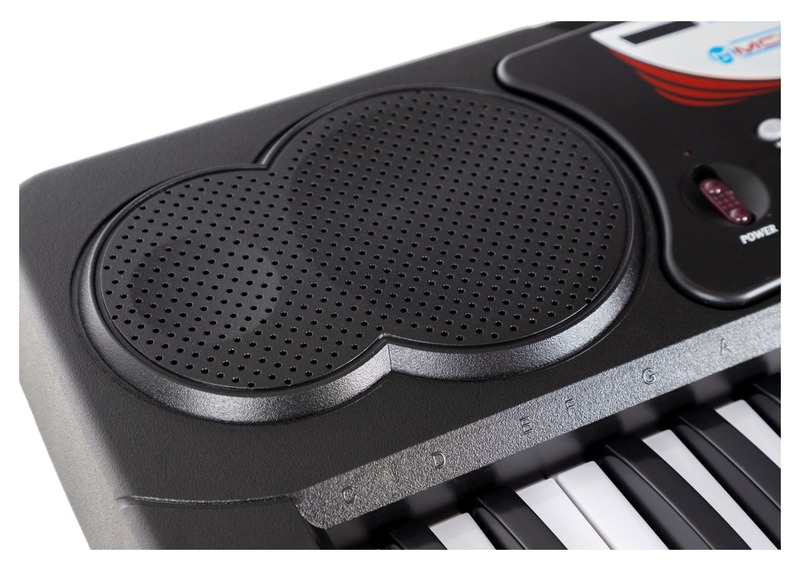 With the function Rhythm Programming these rythms can be arranged individually and supplemented with drum fills. 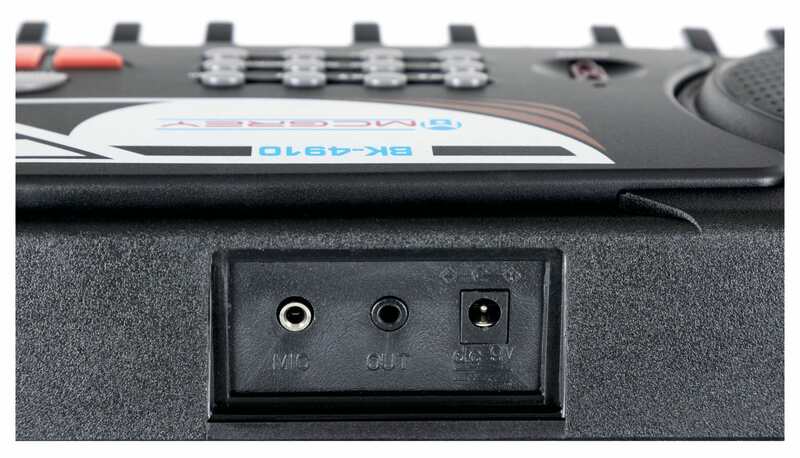 The BK-4910 provides 8 percussion pads with which individual rhythms can be programmed to play along to. Now, your creativity has no limits. 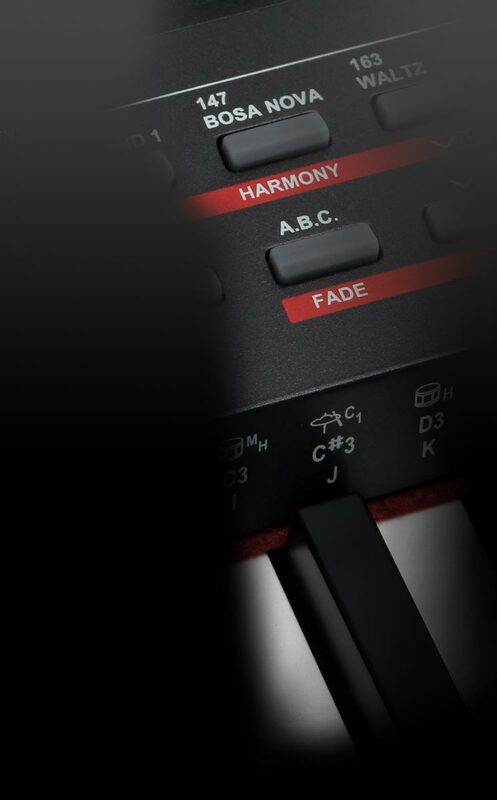 With the Intelligent Guide feature the 6 built-in demonstration songs can be learned note-for-note. however ignoring any possible playing mistakes by the player. 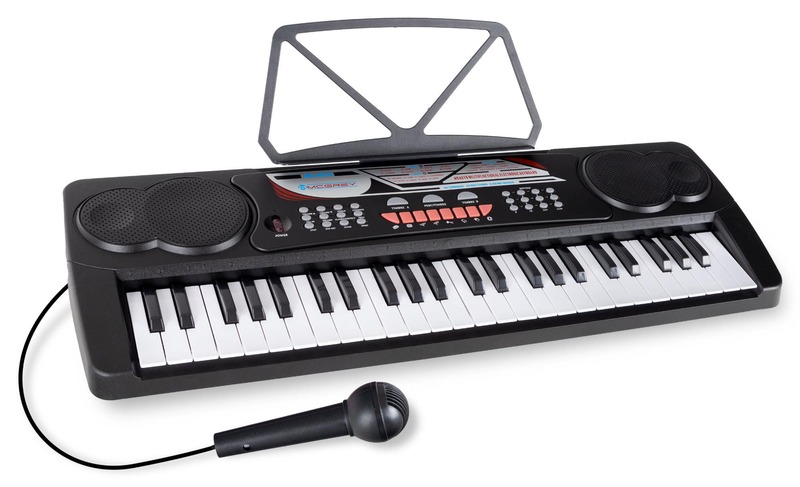 The song can thus be accompanied by pressing any key. 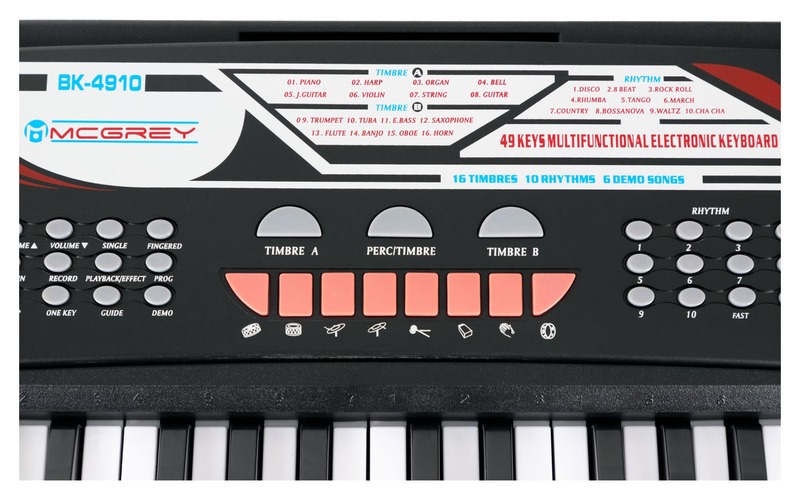 The "One Key" function is for the players to become familiar with the song and learn the melody. A 49-key keyboard with microphone and music stand at an absolute bargain price.